Other departments that offer papers for Political Science students are English, Hindi, Economics and History. There are a total number of eleven faculty members currently employed with the department. 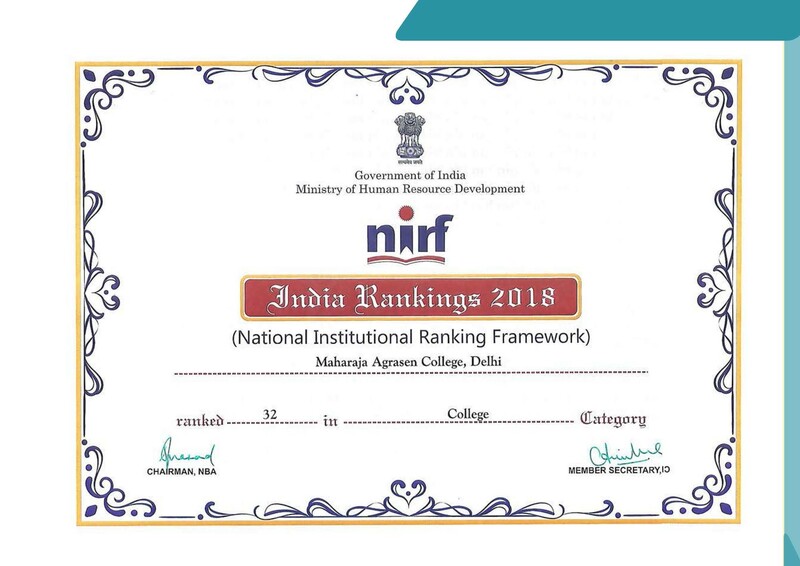 The faculty has varied interests across the discipline ranging from Political Theory, Nationalism, Foreign Policy, African Politics, South Asian Politics, Human Rights, Public Administration, Indian Diaspora etc. Many faculty members are involved in Innovation Projects of Delhi University on topics like Strategic Management of Higher Education Institutions: A Case Study of University of Delhi, Workspace Optimization for Communication and Innovation and Delhi a City of Migrants: A Study of the Socio-Economic and the Political Conditions of the Migrants. Chanakya is the Political Science student society of Maharaja Agrasen College that aims at providing services that enable students to develop their full potential and to reach their educational goals. Chanakya society organizes its Annual Fest in the month of September each year where various competitions like poster making, extempore, debates, essay writing, mock elections etc. are held provide a learning atmosphere to the students of the department. The department organizes conferences, talks and lectures by eminent persons to provide all-round exposure to the department students as well as faculty. These events are a platform where students are actively encouraged to participate and enhance their experience and knowledge.